These classic stud earrings are from the Tacori 18K925 collection. 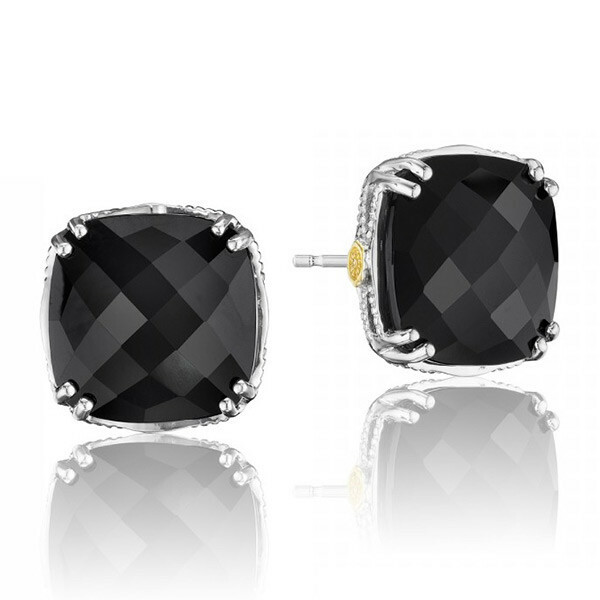 These oversized stud earrings fuses fashionable faceted black onyx and an edgy rock start silver basket to create the ultimate combination that is perfect for everyday wear. Embrace your wild stylish side and make fashion statement while you are at it.